The mail man was busy. 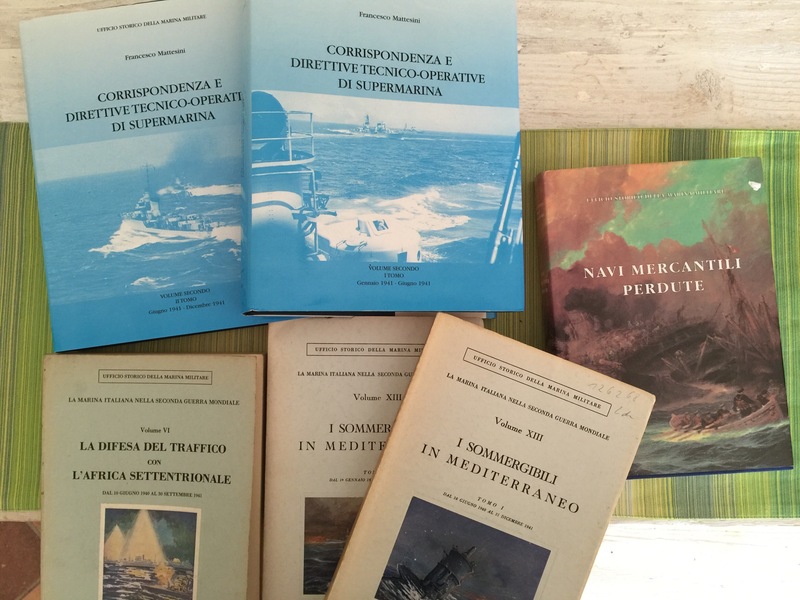 Two volumes of Mattesini’s ‘Correspondence and Technical-Operational Directives of the Italian High Command of the Navy’, covering the year 1941, three volumes of the official history to complement the two I already have, with ‘Submarines in the Med’ Vol. I and II, ‘Defense of the Traffic in North Africa – June 1940 to 30 September 1941’ and ‘Merchant Ships Lost’ joining ‘Statistical Data’ and ‘Defense of the Traffic in North Africa – 1 October 1941 to 30 September 1942’. I think I’m covered in the navy. For now.